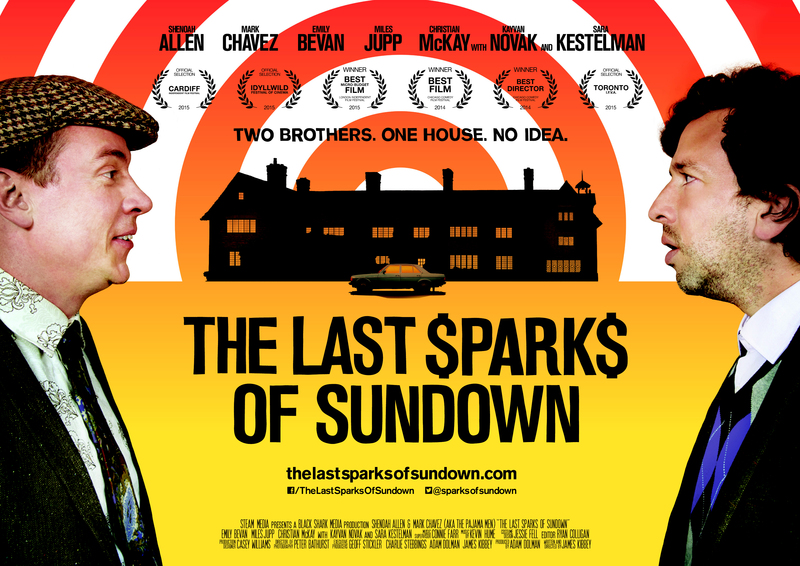 This week saw the limited cinema release of The Last Sparks of Sundown – the debut feature from James Kibbey which features The Pajama Men, Emily Bevan, Miles Jupp and Kayvan Novak in its ensemble cast. Ahead of a wider release, TVO got a sneaky peak of the picture, and here’s our onion-shaped verdict. In this digital age, when multi-millionaires are forged of people who talk at a webcam and put it on YouTube, and auto-tuned ‘singers’ are packaged to make millions, it can sometimes be hard to see exactly what the magic ingredient is. Here at TVO, we’ve seen countless comedy productions come and go, on stage, television, radio, the web and even the big screen, and a lot of them fell by the wayside, never to make that break into the mainstream. Given how many people of questionable talent make a fortune these days, it can be incredibly frustrating to watch real talent trying the old fashioned way to make a dent. Of course, there are ways that work can reach a wider audience over time, and we can only hope that The Last Sparks of Sundown and its writer/director James Kibbey is one of the lucky ones. His path has crossed TVO’s way before: an experienced commercials director, he was responsible for the Southampton FC viral videos featuring Tom Davis as a stripe-obsessed coach earlier this year. And in his first feature, following his award-winning short House Cocktail two years ago, he’s roped in Kayvan Novak in a supporting role. Naturally, TVO was intrigued. The film itself is a vehicle for cult sketch comics The Pajama Men – Shenoah Allen and Mark Chave – who play Harvey and Matthew Sparks: two out of work, down and out, pretty crappy actors who inherit a massive house in the English countryside from their recently departed grandfather, Sir Buster Sparks. They also happen to be brothers, though the exact reasons for their non-resemblance remain a mystery until a beautifully nonsensical info-dump in the middle of the movie. Heading over to the UK, the duo plan to sell the house and make a tidy profit fast. Matthew wants to get back to the woman he loves, and Harvey has managed to run up an ever increasing debt to a camp, flamboyant, and dangerous gangster known only as Seven (a typically pitch perfect Kayvan Novak). Upon arrival, however, they find the house is far from empty: Lucy Fairweather, allegedly Buster’s servant, has moved in alongside her dear old Nana, Lydia (played by The Casual Vacancy‘s Emily Bevan and Olivier Award winning actress Sara Kestelman respectively). Naturally, this being a movie, the timid and awkward Matthew begins to fall for that West Country gal Lucy, while the increasingly paranoid Harvey refuses to trust anyone. After all, he keeps having flashbacks to his brutal treatment from the hands of Seven, and knows that pretty soon, he’s going to pay the brothers a visit. The weirdest part of all of this is seeing the Pajama Men, who are famed for their flights of nonsensical fancy, in someone else’s world – and quite a natural world at that. Of course, there are a few contrivances along the way, as the boys attempt to sell the house to a posh English gent (Christian McKay, The Theory of Everything). 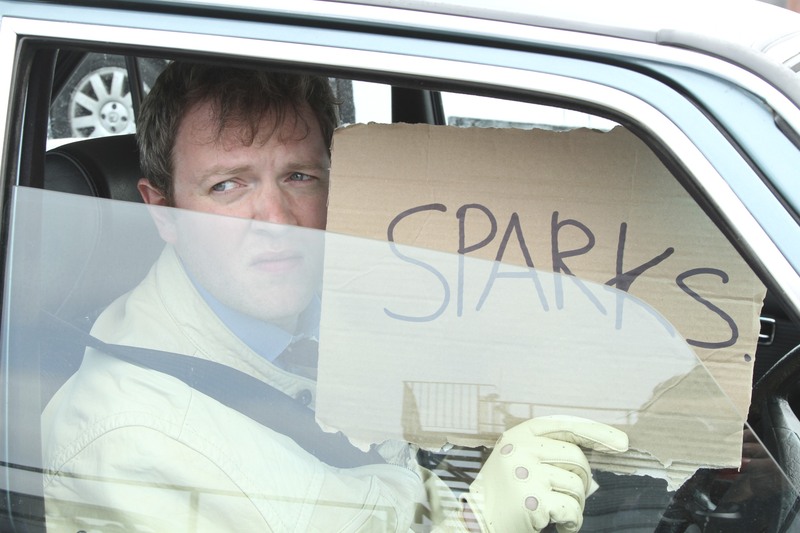 And around their “humble and gout ridden” agent Jeffrey H Chicken (a very likeable Miles Jupp) as he tries to find them acting work whilst simultaneously spying on his wife in a bizarre sub plot that, at a pinch, could probably have been excised if we have to be picky. Yet the charm of the film comes out of that fusion of seeing these naturally bonkers performers in a more human environment. Placing two Americans – one brash, sweary and hard to like; the other in essence like Steven Wright after a few too many energy drinks – in this quaint countryside, the sun drenched hues highlighting all the detail in the oak and brick of the house, just somehow works. Of course, Allen and Chave are a love-or-loathe act, and while they have huge amounts of critical acclaim and a cult following, it’s fair to say they won’t appeal to everyone. Yet they have a natural chemistry, and a penchant for being enchantingly silly: witness for example the moment one says to the other: “Listen with your ears, not your face.” and the timid reply: “My ears are part of my face.” – and you get every inch of their long-standing relationship coming across on screen. Okay, so they’re not the best actors in the world, and a few dramatic beats stumble when they’re asked to do too much, but whether it’s levelling with one another (literally) or discussing the childhood game of Find the Vacuum, they’re hard not to fall for if alternative comedy is your thing. Throw in a mad final act that involves a helpful accident, some surprise treachery, an antelope costume (or is it a moose?) and a startling resurrection, and you’ve got yourself an engrossing, and downright likeable comedy. Maybe at times it’s a bit contrived how one character gets from A to B, but at others, Kibbey’s script is throwing you curveballs so you truly don’t see the end coming the way it does. TVO can only hope that the film’s initial run – at one admittedly fantastic cinema in that there London – is followed up with a wider release, perhaps buoyed by the presence of Miles Jupp, Kayvan Novak and the voice of British TV legend Geoffrey Palmer as the tale’s not-so-humble narrator. If, in this world of web-cam superstars we need to get a little slaggy to sell a movie to audiences, so be it: because this is a film that audiences should see. And hopefully, most of you will. 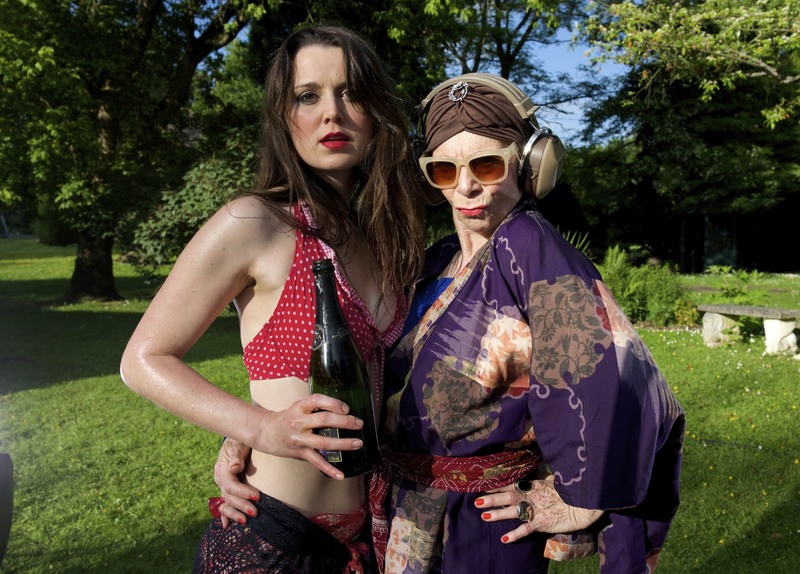 The Last Sparks of Sundown is showing at The Prince Charles Cinema in London until 30th July. For more info on the film, visit the official website.